The topic of Cannabis curries controversy in every sphere of influence, whether politics, pharmacology, applied therapeutics or even botanical taxonomy. Debate as to the speciation of Cannabis, or a lack thereof, has swirled for more than 250 years. Because all Cannabis types are eminently capable of cross-breeding to produce fertile progeny,it is unlikely that any clear winner will emerge between the “lumpers” vs. “splitters” in this taxonomical debate. This is compounded by the profusion of Cannabis varieties available through the black market and even the developing legal market. While labeled “strains” in common parlance, this term is acceptable with respect to bacteria and viruses, but not among Plantae. Given that such factors as plant height and leaflet width do not distinguish one Cannabis plant from another and similar difficulties in defining terms in Cannabis, the only reasonable solution is to characterize them by their biochemical/pharmacological characteristics. 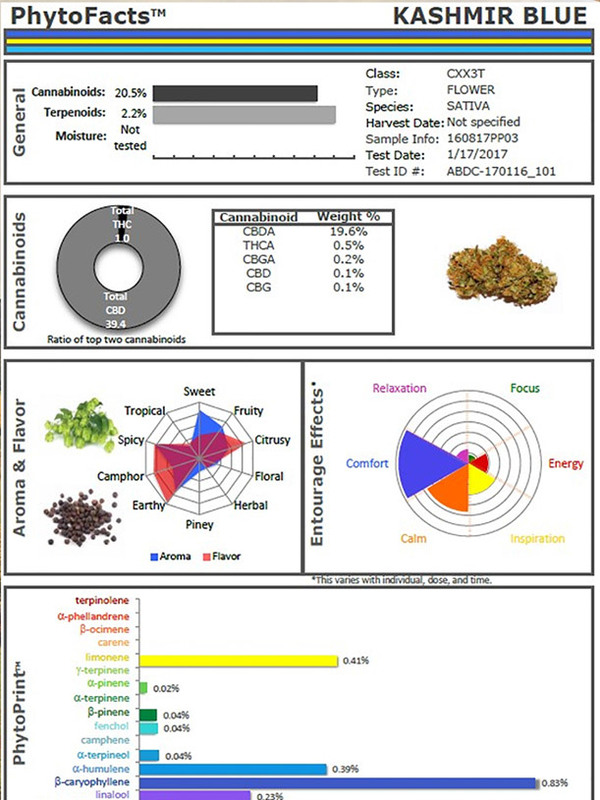 Thus, it is best to refer to Cannabis types as chemical varieties, or “chemovars.” The current wave of excitement in Cannabis commerce has translated into a flurry of research on alternative sources, particularly yeasts, and complex systems for laboratory production have emerged, but these presuppose that single compounds are a desirable goal. Rather, the case for Cannabis synergy via the “entourage effect” is currently sufficiently strong as to suggest that one molecule is unlikely to match the therapeutic and even industrial potential of Cannabis itself as a phytochemical factory. The astounding plasticity of the Cannabis genome additionally obviates the need for genetic modification techniques. Earlier data on taxonomy of Cannabis was previously reviewed (Russo, 2007), which will be herein summarized and supplemented. Cannabis is a dioecious annual of the Cannabaceae family which traditionally includes hops, Humulus spp. Alternatively, Cannabis has also been assigned to Moraceae, Urticaceae, or even in the Celtidaceae families on the basis of chloroplast restriction site maps (Weigreffe et al., 1998), and chloroplast mat K gene sequences (Songet al., 2001). More recently, the Cannabaceae have subsumed eight genera: Celetis, Pteroceltis, Aphananthe, Chaetachme, Gironniera, Lozanella, Trema, and Parasponia, comprising 170 odd species (McPartland, 2018), a finding supported by genetic analysis of four plastid loci (Yang et al., 2013). Current research on fossil pollen samples associated with the ecological associations of Cannabis with steppe companion species (Poaceae, Artemisia, Chenopodiaceae), and Humulus (hops) with forest genera (Alnus, Salix, Populus), have established that although Cannabis seems to have originated in the Tibetan Plateau at least 19.6 million years ago, it has also been indigenous to Europe for at least a million years (McPartland et al., 2018), and refuted the conventional wisdom that this “camp follower” was brought there by man. The species assignation of Cannabis itself is fraught with great debate. Cannabis sativa, meaning “cultivated Cannabis,” was so named by Fuchs, among others, in 1542 (Fuchs,1999), an assignation 211 years before the systematization of botanical binomials Linnaeus in his Species Plantarum (Linnaeus, 1753). Lamarck subsequently suggested Cannabis indica, a more diminutive intoxicating Indian plant from India, as a separate species (Lamarck, 1783). The issue has remained unresolvedin the subsequent centuries with two opposing philosophies. Ernest Small has championed the single species concept (Small and Cronquist, 1976). Polytypic treatments of Cannabis alsogained adherents (Schultes et al., 1974; Anderson, 1980) on morphological criteria suggesting separation of Cannabis sativa L. Cannabis indica Lam. and Cannabis ruderalis Jan., a scheme supported by systematic chemotaxonomy. Principal component analysis (PCA) of 157 Cannabis accessions from around the world assessed allozyme frequencies at 17 gene loci suggested a split (Hillig, 2005b). “Sativa” gene pools from eastern European ruderal samples were linked to narrowleaflet European and Central Asian fiber and seed plants, while an “indica” grouping encompassed Far Eastern seed and fiber plants and drug plants with broad-leaflets from most of the rest of the world, along with wild accessions from the Indian subcontinent. Central Asian roadside samples (Cannabis ruderalis) were thought to represent a third group. Gas chromatography (GC) and starch-gel electrophoresis studies also suggested species separation of sativa and indica (Hillig and Mahlberg, 2004). I am Director of Research for the International Cannabis and Cannabinoids Institute. We serve clients engaged in cannabis commerce. The author appreciated the assistance of the staff of the University of Montana Inter-Library Loan Office of Mansfield Library for provision of research materials. Anderson, L. C. (1980). Leaf variation among Cannabis species from a controlled garden. Bot. Mus. Lealf. Harv. Univ. 28, 61–69. Appendino, G., Taglialatela-Scafati, O., Minassi, A., Pollastro, F., Ballero, L. M., Maxia, A., et al. (2015). Helichrysum italicum: the sleeping giant of Mediterranean herbal medicine. Herbalgram 105, 34–45. Bailey, L. H., and Bailey, E. Z. (1976). Hortus Third: A Concise Dictionary of Plants Cultivated in the United States and Canada. New York, NY: Macmillan. Brickell, C. D., Alexander, C., David, J. C., Hetterscheid, W. L. A., Leslie, A. C., Malecot, V., et al. (2009). International Code of Nomenclature for Cultivated Plants. Leuven: International Society for Horticultural Science. Clarke, R. C., and Merlin, M. D. (2013). Cannabis: Evolution and Ethnobotany. Berkeley, CA: University of California Press. de Meijer, E. (2004). “The breeding of cannabis cultivars for pharmaceutical end uses,” in Medicinal Uses of Cannabis and Cannabinoids, eds G. W. Guy, B. A. Whittle, and P. Robson (London: Pharmaceutical Press), 55–70. de Meijer, E. P., Bagatta, M., Carboni, A., Crucitti, P., Moliterni, V. M., Ranalli, P., et al. (2003). The inheritance of chemical phenotype in Cannabis sativa L. Genetics 163, 335–346. de Meijer, E. P. M., Hammond, K. M., and Micheler, M. (2009a). The inheritance of chemical phenotype in Cannabis sativa L. (III): variation in cannabichromene proportion. Euphytica 165, 293–311. de Meijer, E. P. M., Hammond, K. M., and Sutton, A. (2009b). 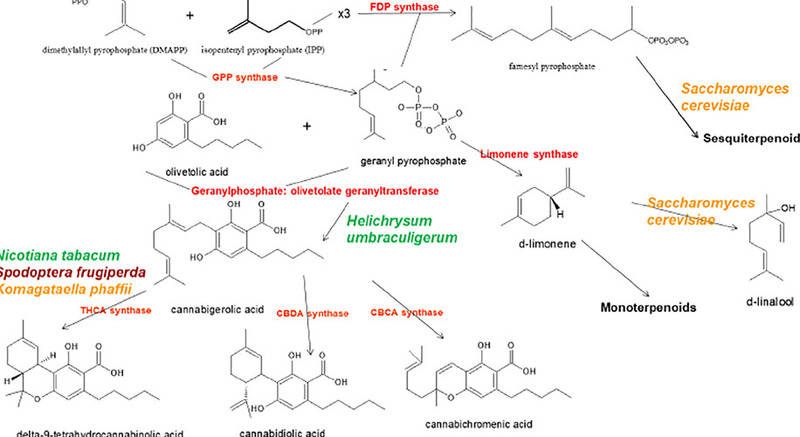 The inheritance of chemical phenotype in Cannabis sativa L. (IV): cannabinoid-free plants. Euphytica 168, 95–112. Elzinga, S., Fischedick, J., Podkolinski, R., and Raber, J. C. (2015). Cannabinoids and terpenes as chemotaxonomic markers in cannabis. Nat. Prod. Chem. Res. 3:181. Fuchs, L. (1999). The Great Herbal of Leonhart Fuchs: De Historia Stirpium Commentarii Insignes, 1542 (Notable Commentaries on the History of Plants). Stanford, CA: Stanford University Press. Goldstein, B. (2016). Cannabis in the Treatment of Pediatric Epilepsy. Chicago, IL: O’Shaughnessy’s, 7–9. Lamarck, J. B. (1783). Encyclopédie Méthodique Botanique. Paris: Chez Panckoucke. Linnaeus, C. (1753). Species Plantarum. Holmiae: Laurentii Salvii. McPartland, J. M., and Mediavilla, V. (2001). “Non-cannabinoids in cannabis,” in Cannabis and Cannabinoids, eds F. Grotenhermen and E. B. Russo (Binghamton, NY: Haworth Press), 401–409. McPartland, J. M., and Pruitt, P. L. (1999). Side effects of pharmaceuticals not elicited by comparable herbal medicines: the case of tetrahydrocannabinol and marijuana. Altern. Ther. Health Med. 5, 57–62. McPartland, J. M., and Russo, E. B. (2014). “Non-phytocannabinoid constituents of cannabis and herbal synergy,” in Handbook of Cannabis, ed. R. G. Pertwee (Oxford: Oxford University Press), 280–295. Schultes, R., Klein, W., Plowman, T., and Lockwood, T. (1974). Cannabis: an example of taxonomic neglect. Bot. Mus. Lealf. Harv. Univ. 23, 337–367. Small, E. (2017). Cannabis: A Complete Guide. Boca Raton, FL: CRC Press. Usher, G. (1996). The Wordsmith Dictionary of Botany. Ware: Wordsworth Reference. Wirtshafter, D. (1997). “Nutritional value of hemp seed and hemp seed oil,” in Cannabis in Medical Practice, ed. M. L. Mathre (Jefferson, NC: McFarland and Company), 181–191.